It is 2017, and the gender wage and opportunity gap remains a major topic of discussion. 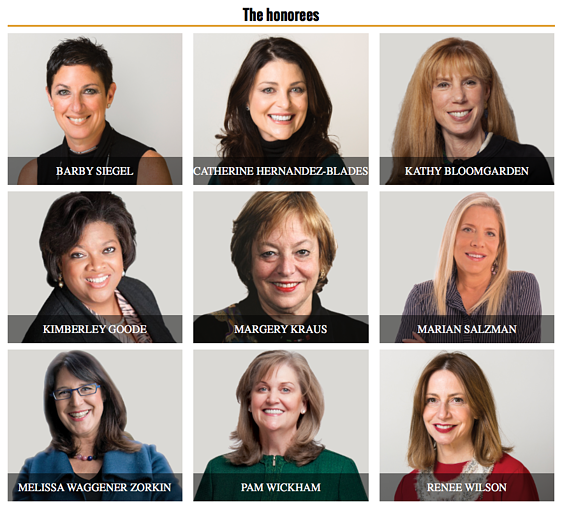 Workplace inequality was an oft discussed topic at PR Week’s Hall of Femme event, that I had the pleasure of attending last week at the Dream Downtown Hotel. This jam-packed event acted as a catalyst for learning, discussion and as a platform to honor the wonderful women in PR who are working tirelessly to shake up the status quo. Two honorees mentioned that as it currently stands women would not receive equal pay until well into the 22nd century. The percentage of female CEOs on the Fortune 500 list has remained low and stagnant hovering around 4%. PRWeek is doing something great to call attention to these issues and highlight the work of women helping to change it with its Hall of Femme event. The event featured a panel of male executives, who talked about some initiatives at their respective companies aimed to help bridge the gender gap, including a fourth trimester program that allowed returning mothers flexibility in the workplace. The men also spoke about efforts they are taking to review their payrolls, leading them to discover large wage discrepancies by gender. A panelist brought light to a source contributing to the prolonged gender pay gap. When new employees enter his workplace, they are given a salary of 10-15% of their previous salary rather than one that matches current coworkers at his firm. With this logic, if a woman was paid unfairly at her previous job, then it would continue throughout her career. The event continued with a SheQuality panel of six women. They spoke about their insights garnered from experience and resulting advice. One panelist stressed the importance of negotiating for yourself as a woman. Another added, “Ask for money,” and everyone shared a laugh. The multifacetedness of diversity in the workplace was discussed alongside the importance of bringing your whole self to work. A common theme among the panelist was to support other women rather than see them as competitors. Each gave a short speech that extended the conversation after receiving awards. One gave insight into just how global a problem gender inequality is the workplace citing that her multilingual, overqualified coworkers in the Netherlands were often advised to pour tea for their male counterparts. The event was a great learning opportunity for me individually and a great opportunity for industry professionals to connect, learn and share experiences. Shout out to Wyng for being a proud sponsor of Hall of Femme. Though the fight for gender parity is not even close to over, thanks to these amazing women, PRWeek, and women across the globe, the fight for gender parity is being brought to the forefront.